A lion population has been re-discovered in northwest Ethiopia in a game park adjacent to Sudan’s Dinder National Park. 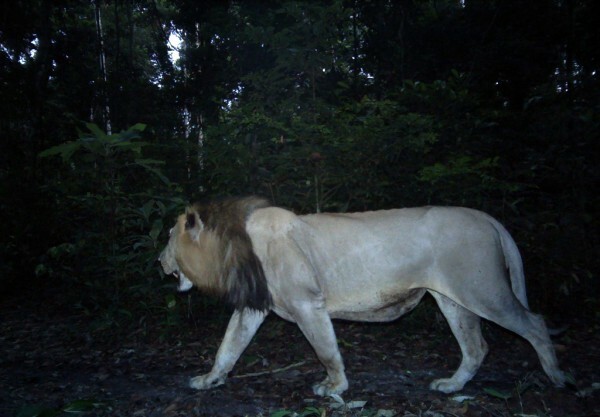 A single lion has been seen in the Batéké Plateau National Park in the Congo – the first seen there for 20 years. Isolated claims are made by people of seeing lions in Pakistan, bordering the areas of India around Gujarat. Within India itself lions have spread into surrounding sites in the State of Gujarat, outside the Gir forest. Are lions in these disparate areas having a comeback – or is it landscape pressure that is forcing a few individuals to extend their range to find new territories? Just as for the tiger, new monitoring technologies such as camera trapping are revealing new ranges for lions. This is not necessarily good news (lions may be dispersing to avoid other threats). In the case of Gabon however, the active work by government to reduce poaching has made habitats available again. This is good news and is a basis for making progress with lion conservation. This entry was posted in Conservation on May 31, 2016 by Simon Black.